Oh say, where can you see all the sights, sounds and celebrations this Fourth of July? From all-day festivals to nighttime fireworks, here's what's poppin' in Humboldt. Before the big day, celebrate America's independence at the Fortuna Fireworks Festival on Monday, July 3 at Newburg Park. There are kids' activities, live music and a barbecue from 5:30 to 8:30 p.m. ($5 kids activities wristband, barbecue $10 adults, $5 kids) and fireworks at dark ($5 requested donation, no one turned away). 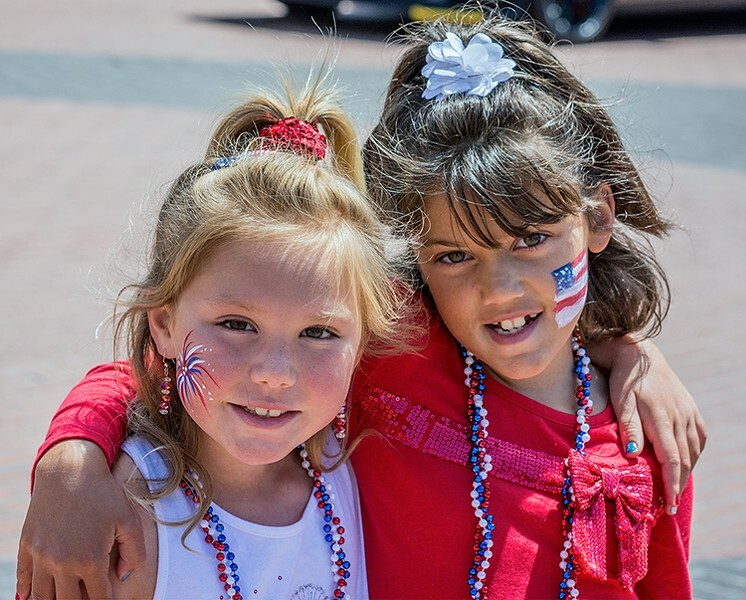 On Tuesday, July 4, Arcata's oldest festival on the plaza celebrates 60 years with the Fourth of July Jubilee from 10 a.m. to 5 p.m. (free). Bring the family for a parade, kids' stuff, live music, dancers, craft and food booths, beer and more. Eureka lights it up over the bay with a spectacular fireworks show at 10 p.m. after a full day of festivities during the Fourth of July Festival from 10 a.m. to 5 p.m. (free). The streets of Old Town will be packed with vendors, classic cars, kids' activities, live music, a carnival and more. Ferndale's Fourth of July celebration is as down home as they come, starting at 10 a.m. with fire engine rides for the kiddos and a parade down Main Street at noon (free). And the Fourth of July Fireworks Show in Benbow at the Benbow Lake State Recreation Area has picnic tables and barbecues on site for family celebrations during the day and fireworks at dark (free to view from Benbow Lake, $8 per car day-use fee).